Support the Long Island Plant Atlas! 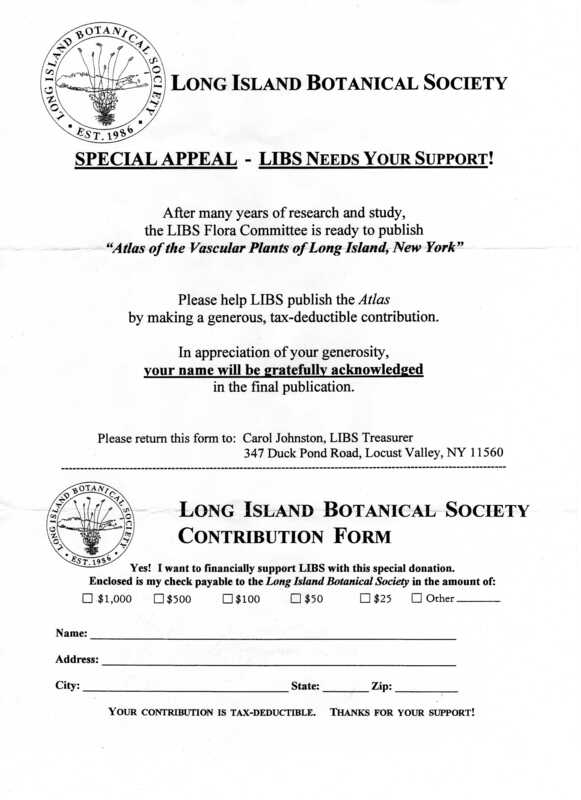 The Long Island Botanical Society is raising funds to publish their Atlas of Vascular Plants of Long Island. If you would like to help, the contribution form is below. Click on it for a larger image. This entry was posted on December 17, 2010 at 8:42 pm and is filed under Funding and Jobs, Plant Organizations, Publications, Apps, and Websites. You can subscribe via RSS 2.0 feed to this post's comments. You can comment below, or link to this permanent URL from your own site.